Nintendo have confirmed that a further Kirby game is headed to Wii, although its title remains to be finalised. 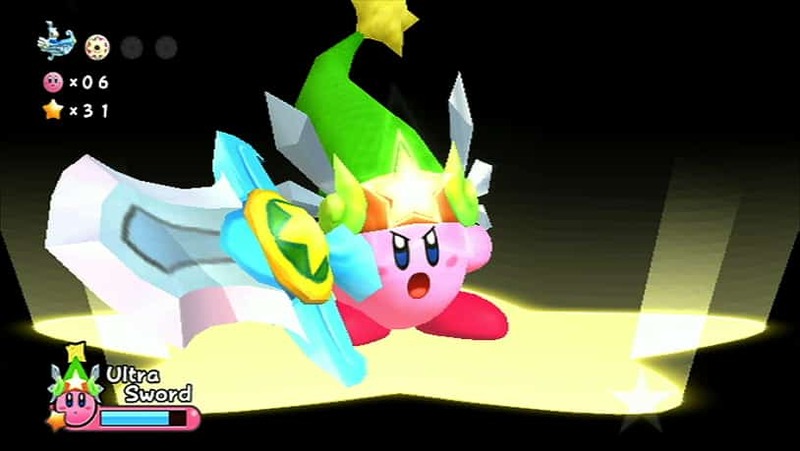 * Sword: Kirby dons a green cap and wields a sword. * Beam: Kirby wears a jester hat and can shoot energy from a magic wand. * Whip: Kirby wears a cowboy hat and can lasso enemies. * Leaf: Kirby is surrounded by a whirlwind of leaves. Further to this, the game also introduces new Super Abilities, which are activated once Kirby inhales special enemy characters. As an example, the “Super Sword” Super Ability will allow Kirby to swing a giant sword to wipe out an entire screen’s worth of enemies. Interestingly, four players will be able to play co-operatively as they progress through the game and collect Point Stars and Ability Stars. Players are free to join and leave the game at any time.